Optical illusions divide people like a political controversy. For some, they are marvelous mysteries that thrill their senses and set their minds in motion. Others view them as confusing annoyances that give them the bends. 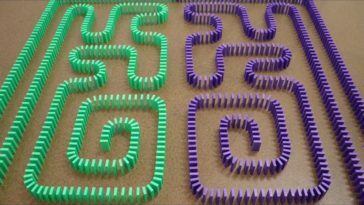 Surely no one, though, can deny that optical illusions are quite amazing things that put the lie to the notion that what we see is real. So, let’s see if you can get your mind around these 15 illusions. Prepare for your eyes to start rotating every way! 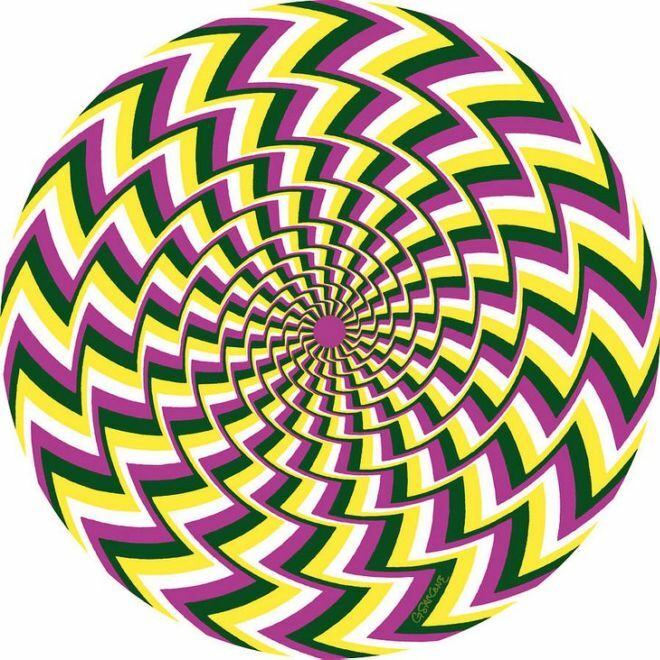 Otherwise known as the ‘false optical illusion’ this image is made from several overlapping circles that appear to be in spiraling motion. However, the image is actually made up of normal circles. It’s what is going on inside the circles that causes you to perceive eternal motion. It’s amazing how we assess the size of something relative to what surrounds it. This illustration from German psychologist Hermann Ebbinghaus demonstrates this effect simply and clearly. 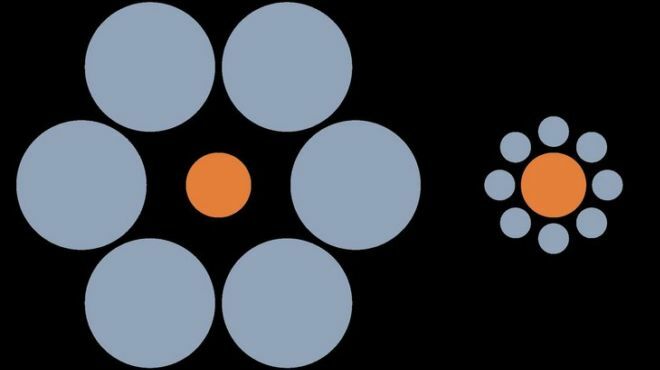 Have a look at the orange circles and consider how big they appear relative to one another. They are actually the same size, yet because one is surrounded by large circles it appears small, whereas the one surrounded by small circles appears big. Charles Cochran conceived this impossible cube in 1996, yet I am still unsure how. Can you work out how the corners of this cube actually come together? 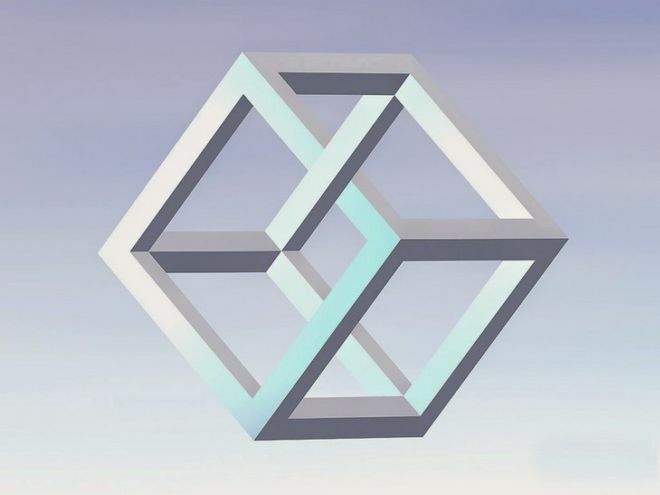 As a 2D image it makes sense, but when your brain imagines it as a 3D cube, the haywire begins. Another image that creates the illusion of depth was accidentally noticed on a piece of cloth by Johann Zollner, a German astrophysicist, in 1860. 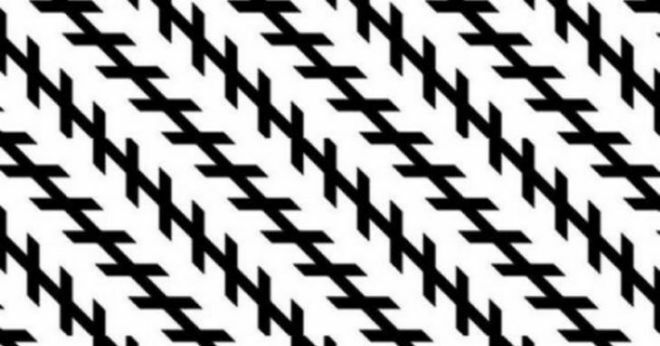 Because some short lines go from top to bottom, they appear to be standing up at an angle, whereas the short lines that go left to right appear to be lying down on an imaginary surface. Is there anyone who doesn’t feel that these shapes are of a different size? 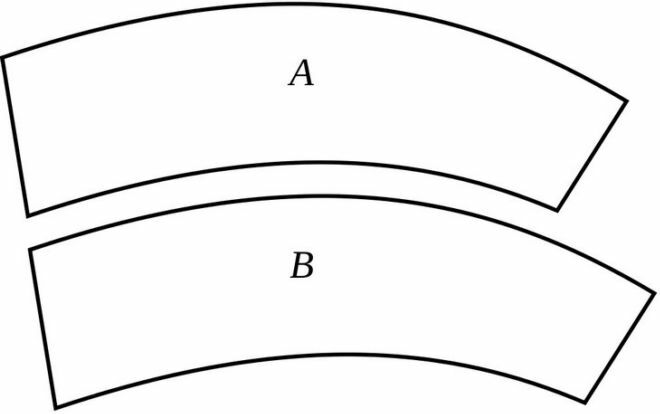 In fact, Joseph Jarrow’s A and B illusion shows two identical images placed in a certain position. For some reason, our minds cannot visualize that they are the same.